Comments: Young woman by Sinclair studio, Midwest (Nee: ) | Midwest United States | 1901-1921 | Comments: Unknown young women. 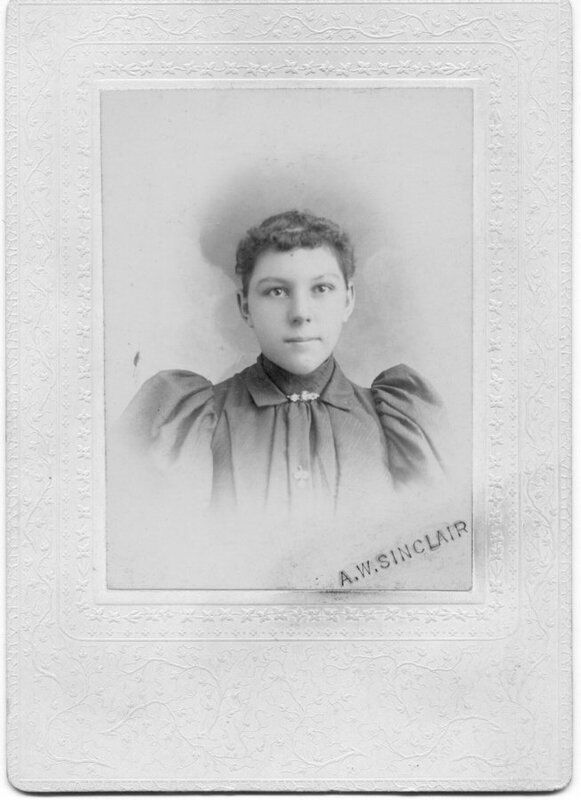 Professional portrait by A. W. Sinclair. Likely in MN, IA, SD, ND, MO, NE or KS.